Thus, P.E.S. College was established in the year 1986 by the combined efforts of many prominent educationists and social workers of Ponda City. It was observed that, students of Ponda taluka and surrounding areas had to travel long distances to obtain higher education on completion of their H.S.S.C. studies, as there was no general higher education facility available in Ponda at that time. Shri Ravi S Naik College Of Arts Science, Ponda offers various graduate courses as well as Post Graduate courses. 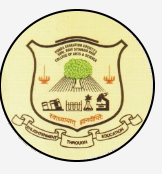 Shri Ravi S Naik College Of Arts Science, Ponda is affiliated to Goa University, Goa. List of facilities available at Shri Ravi S Naik College Of Arts Science, Ponda for students.